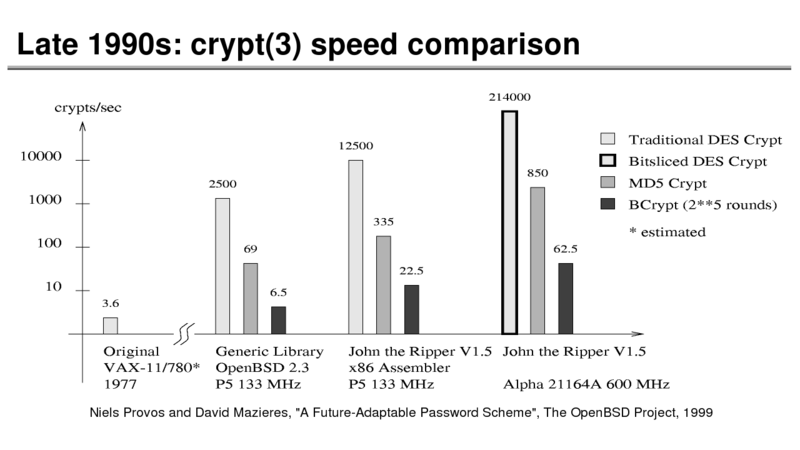 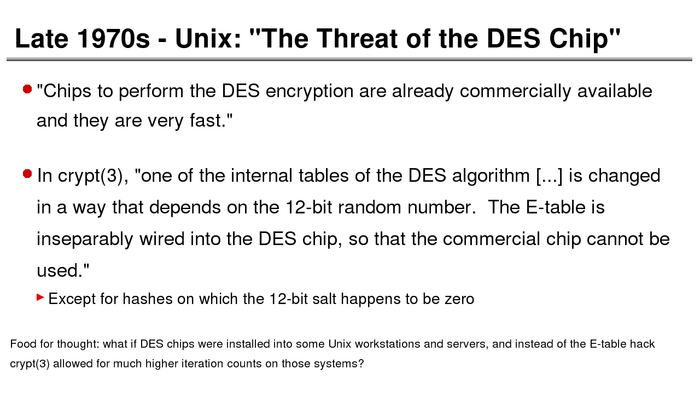 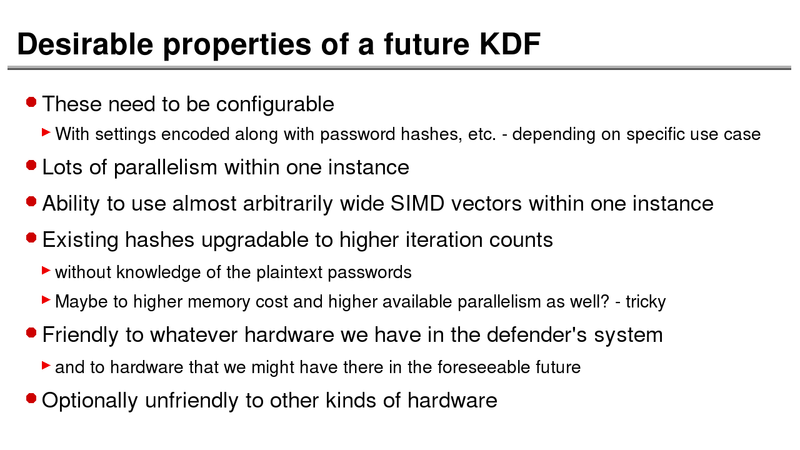 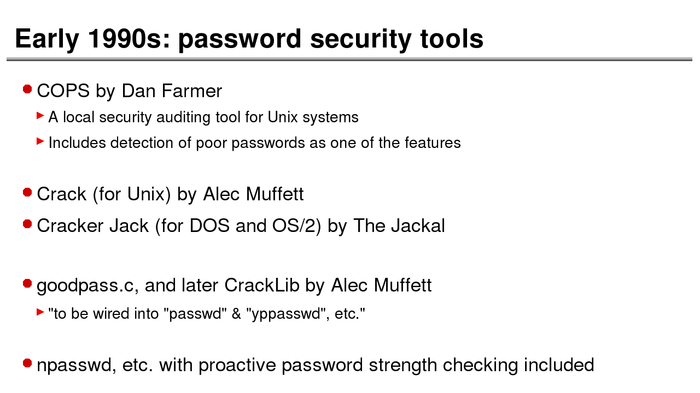 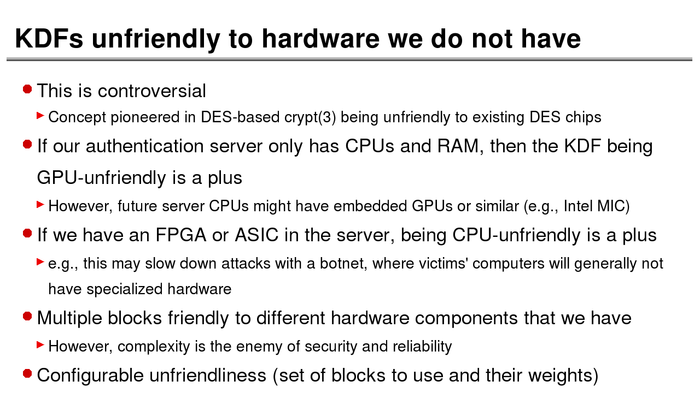 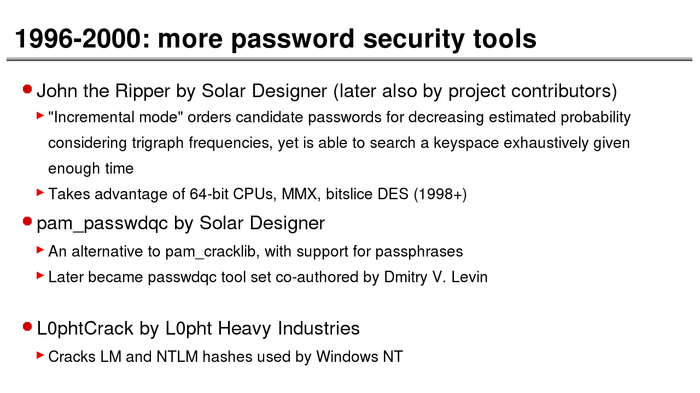 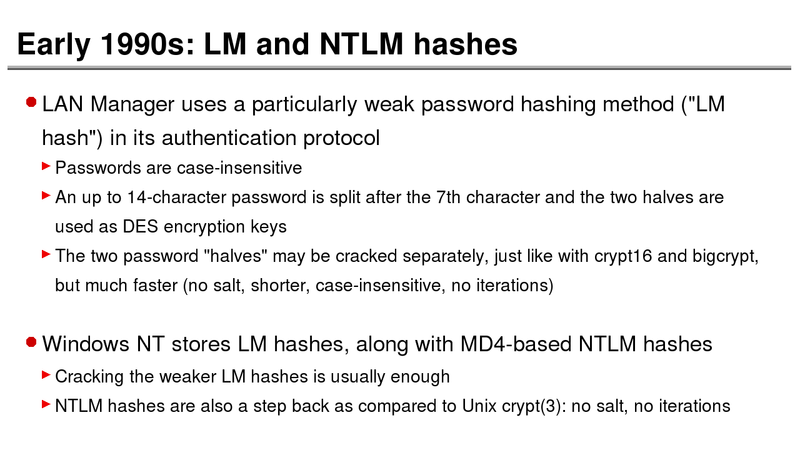 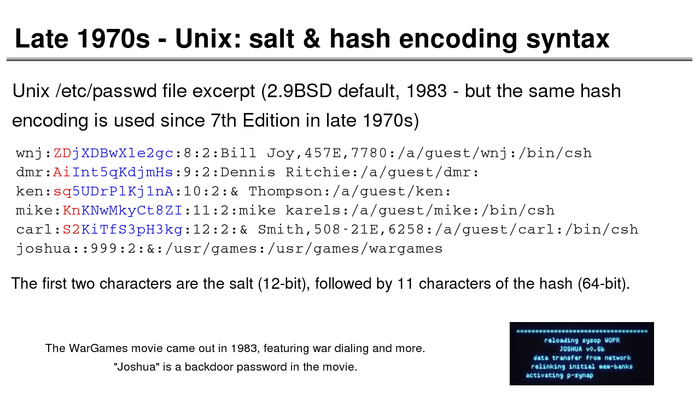 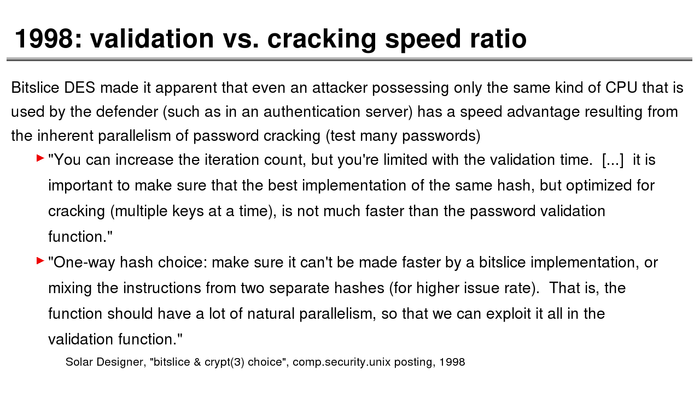 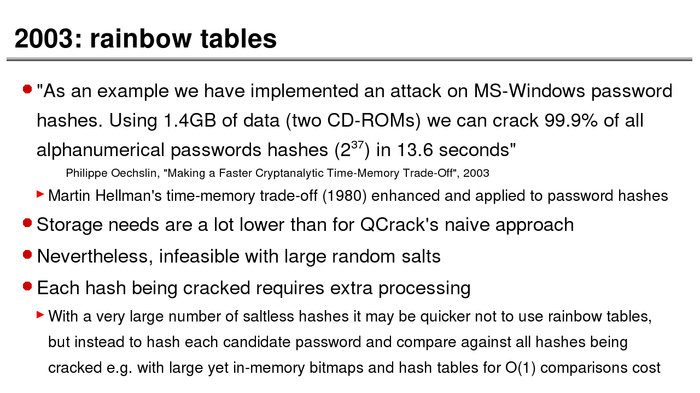 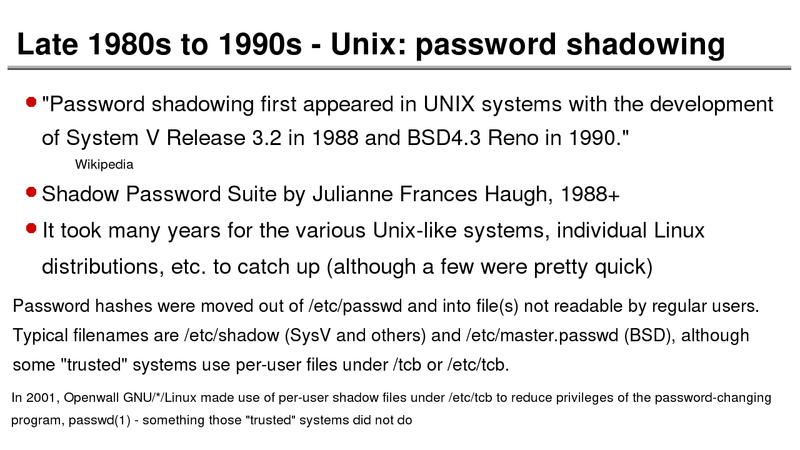 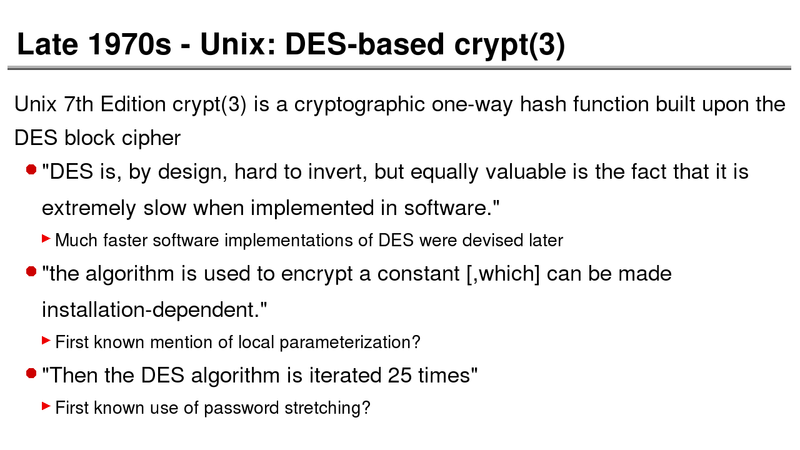 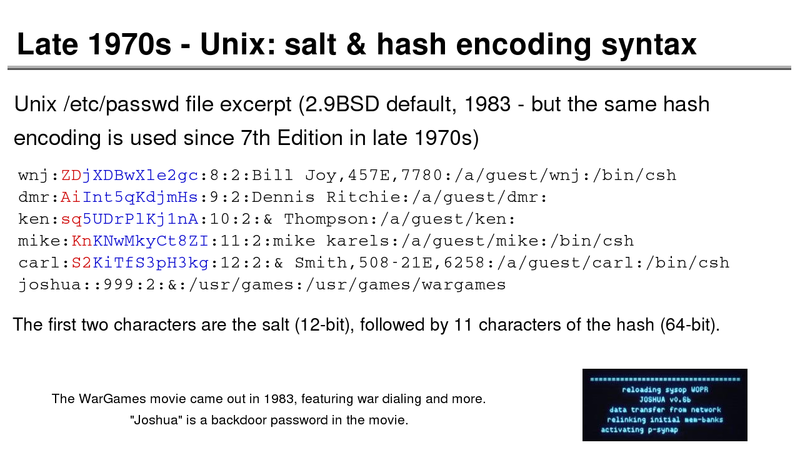 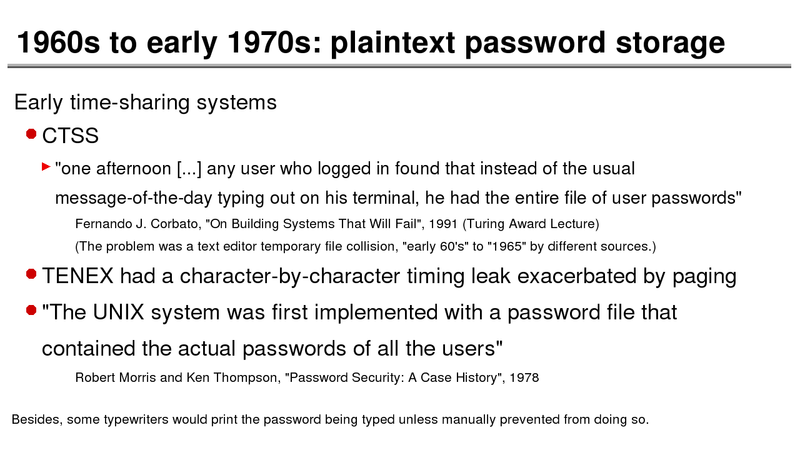 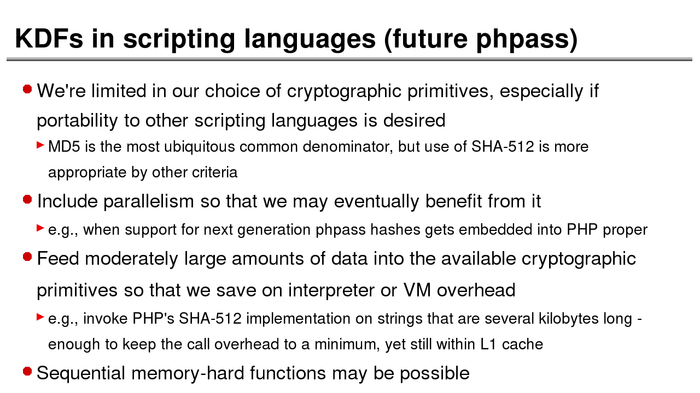 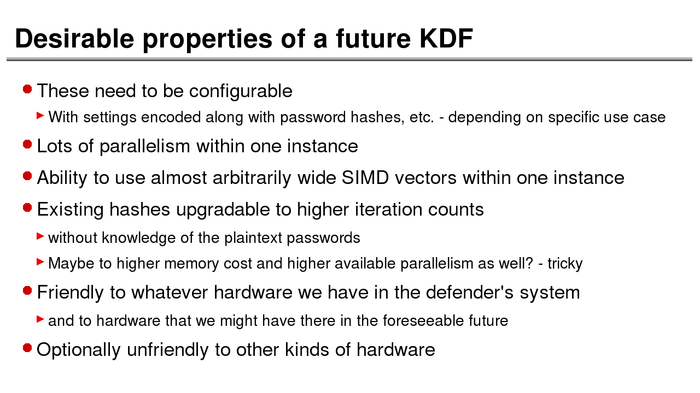 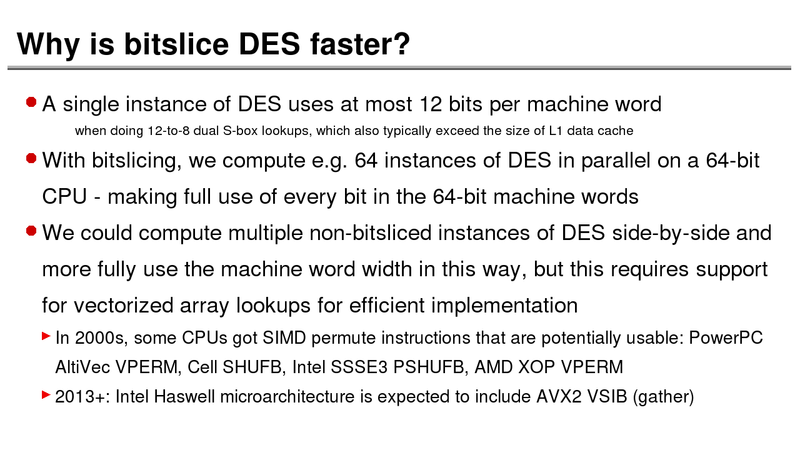 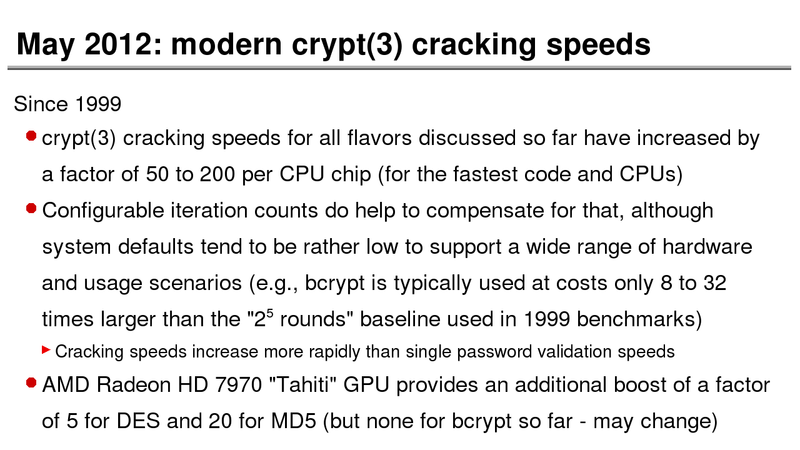 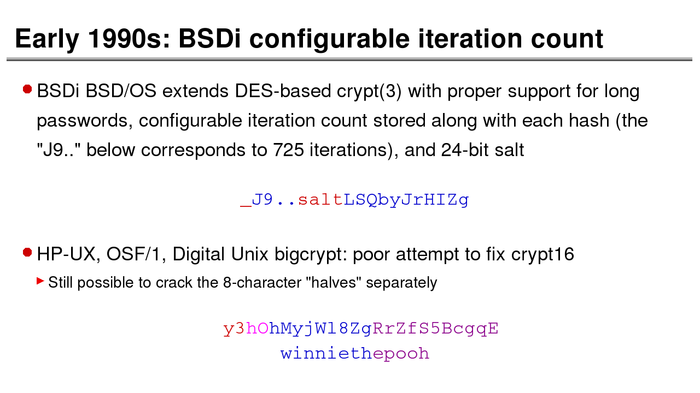 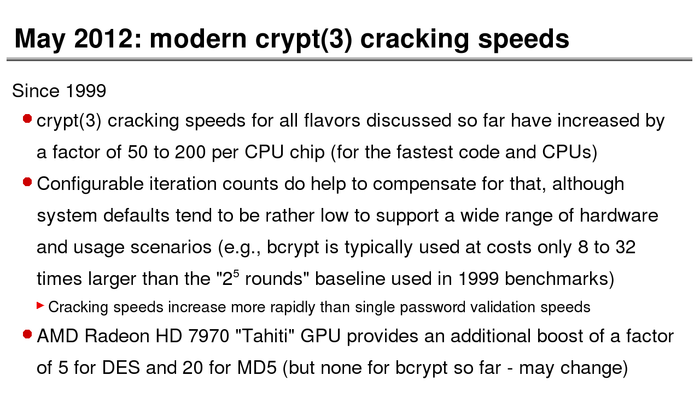 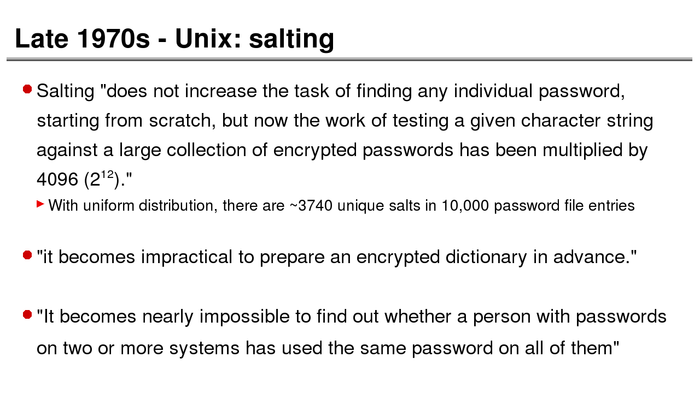 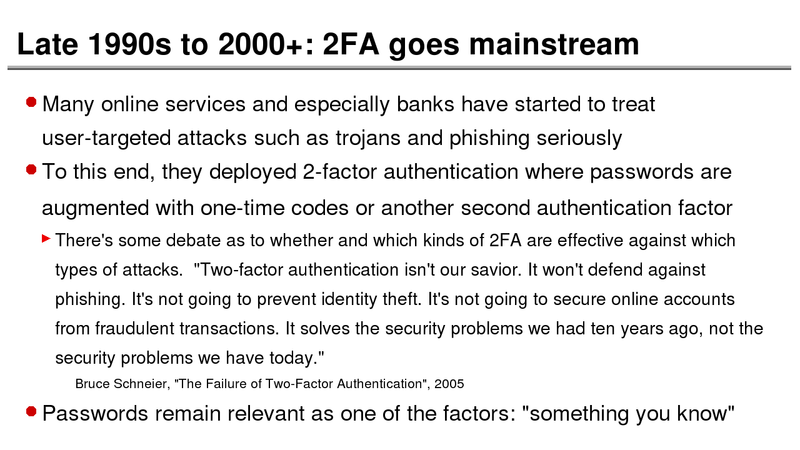 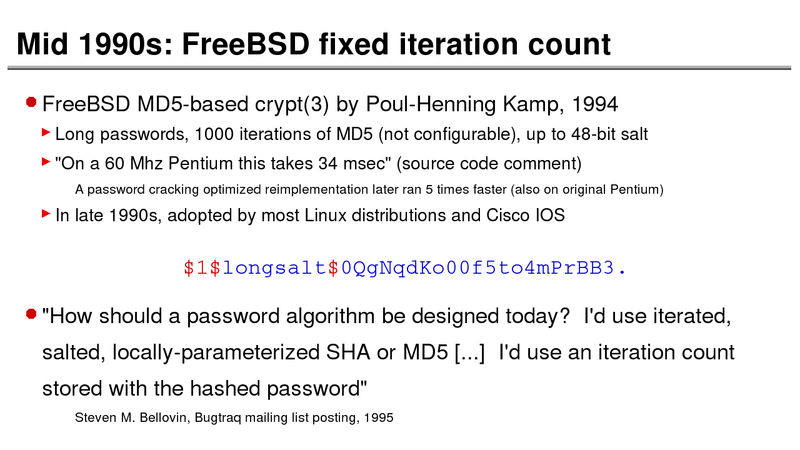 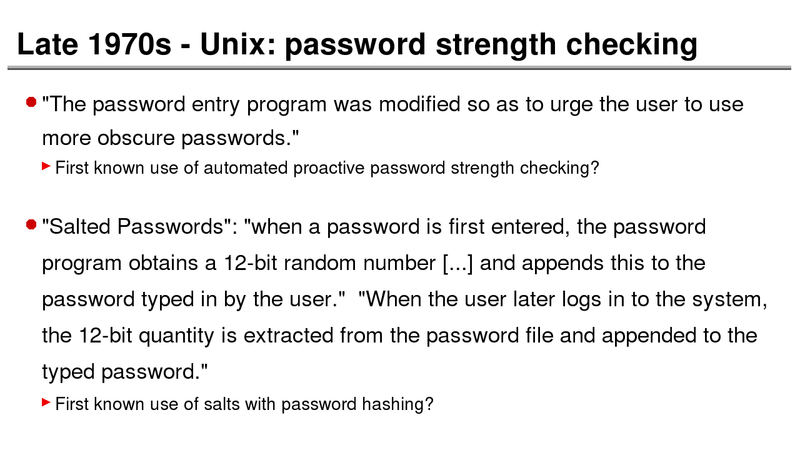 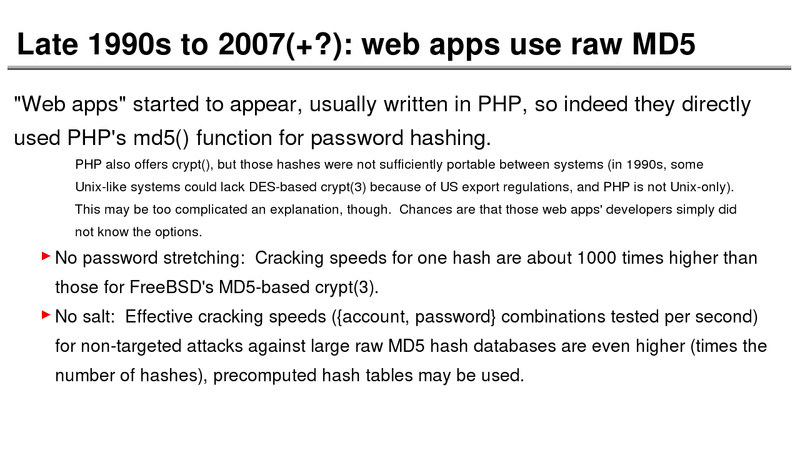 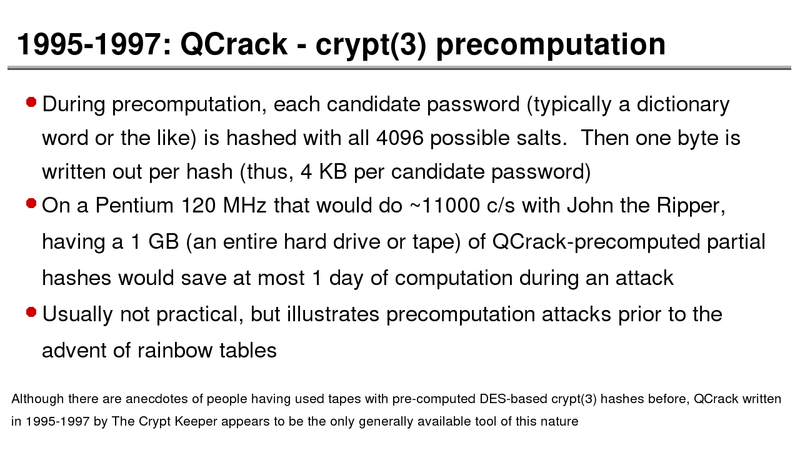 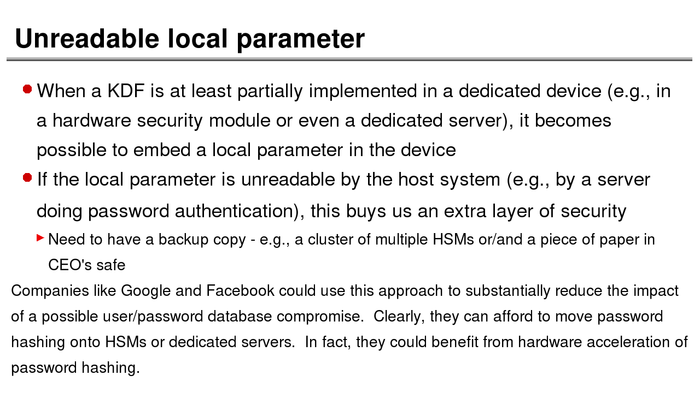 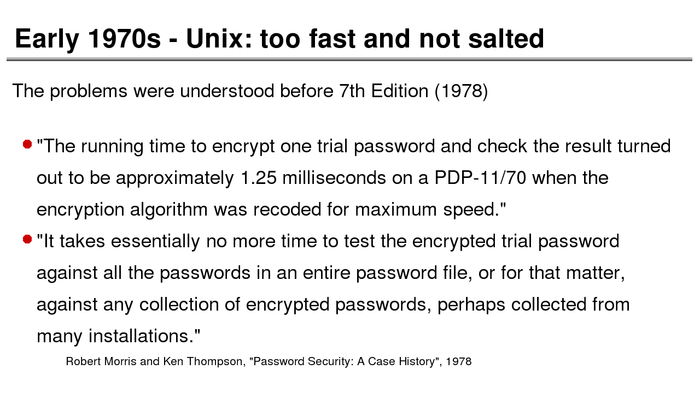 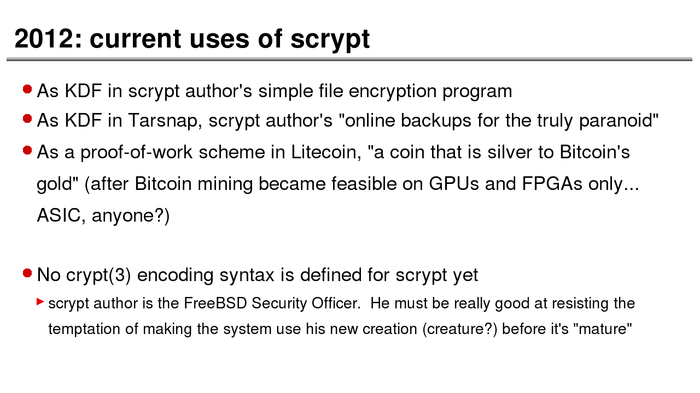 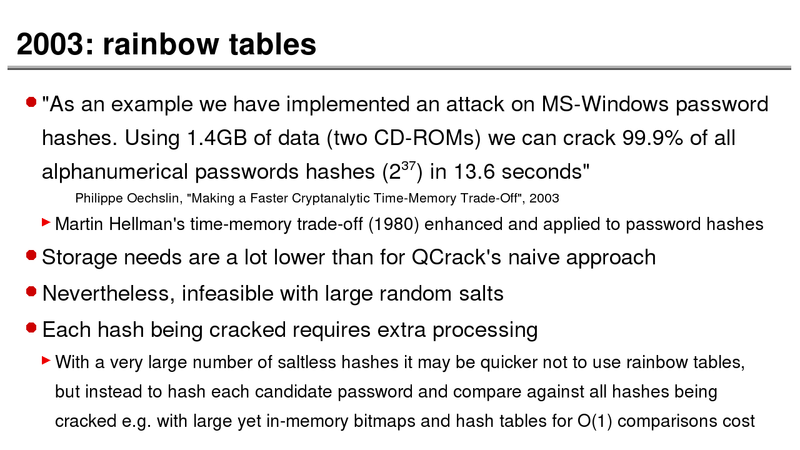 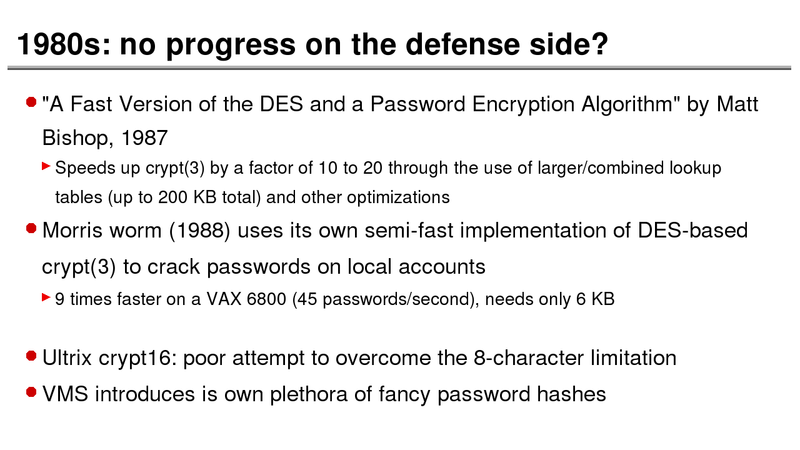 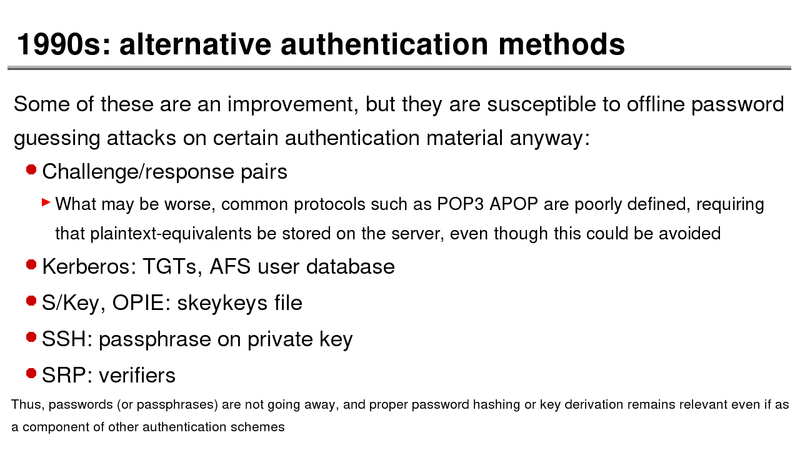 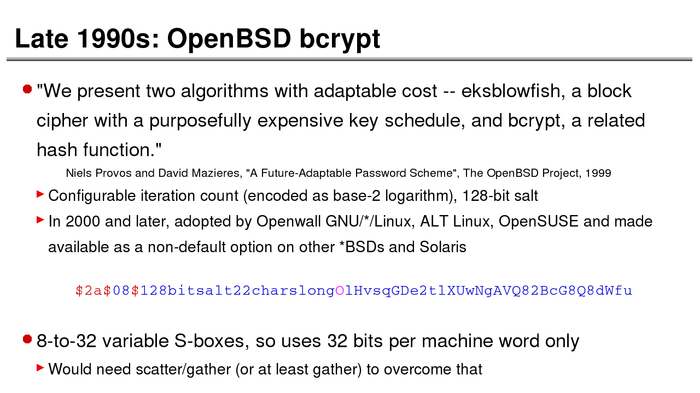 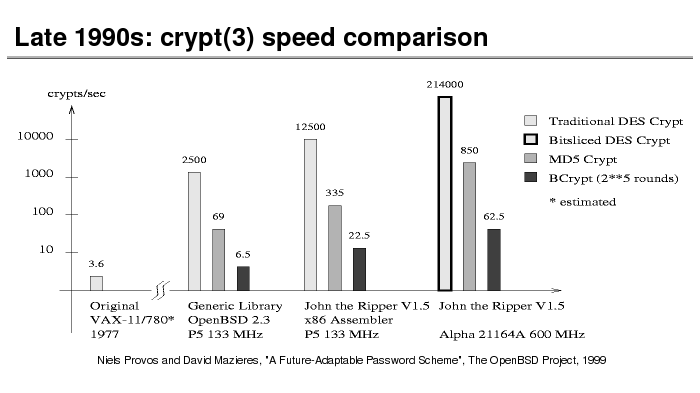 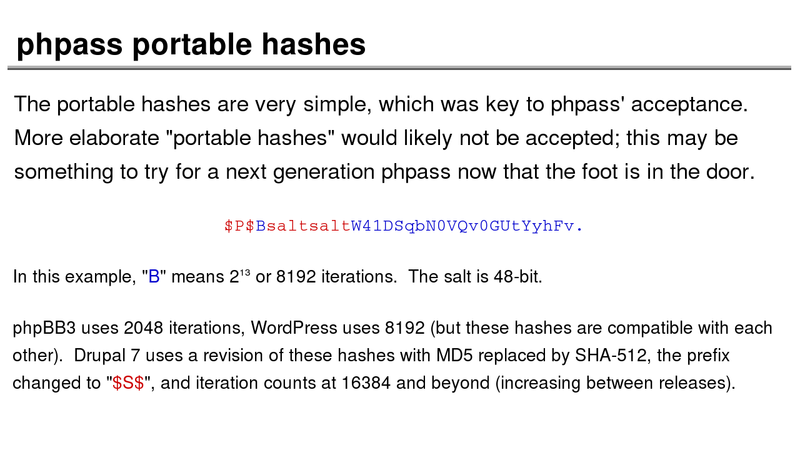 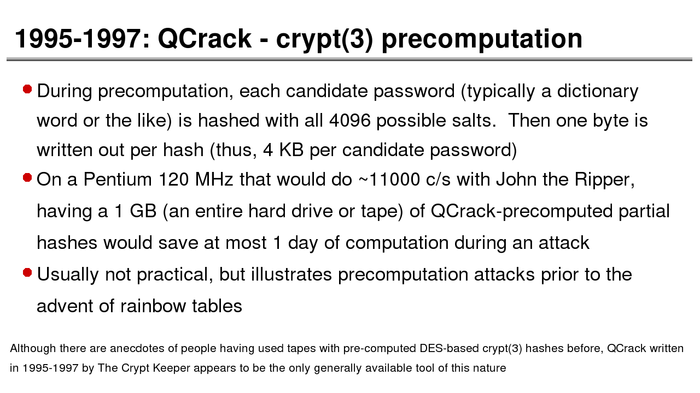 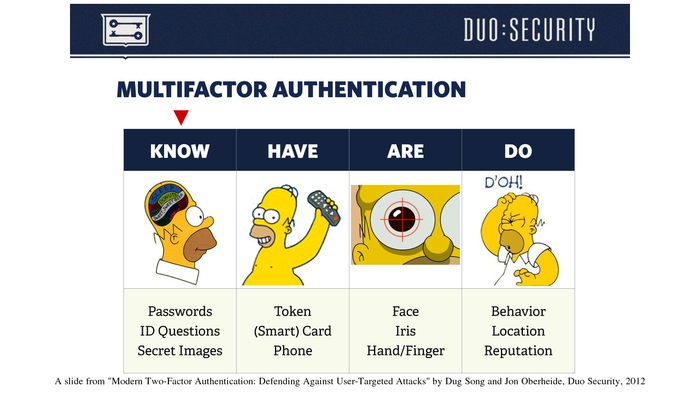 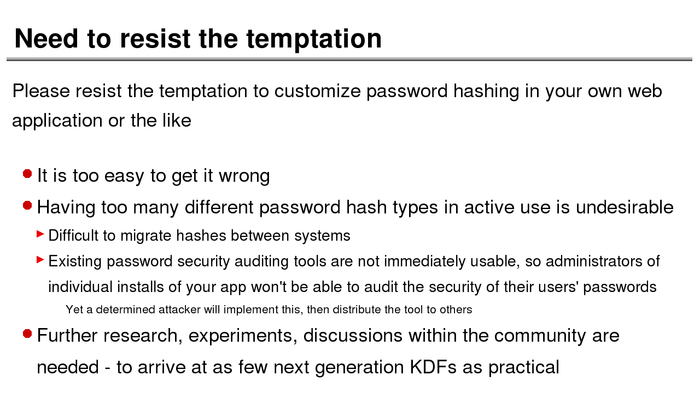 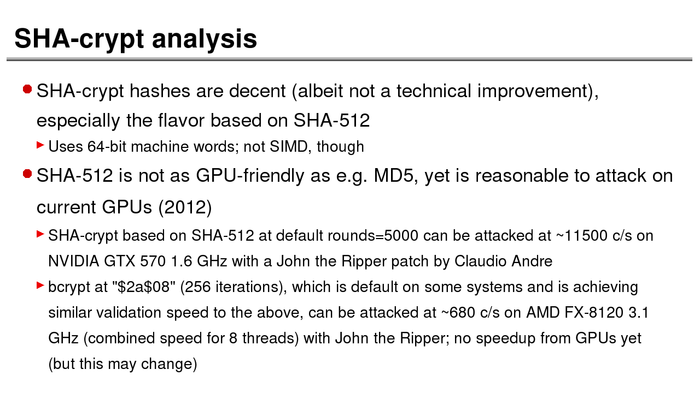 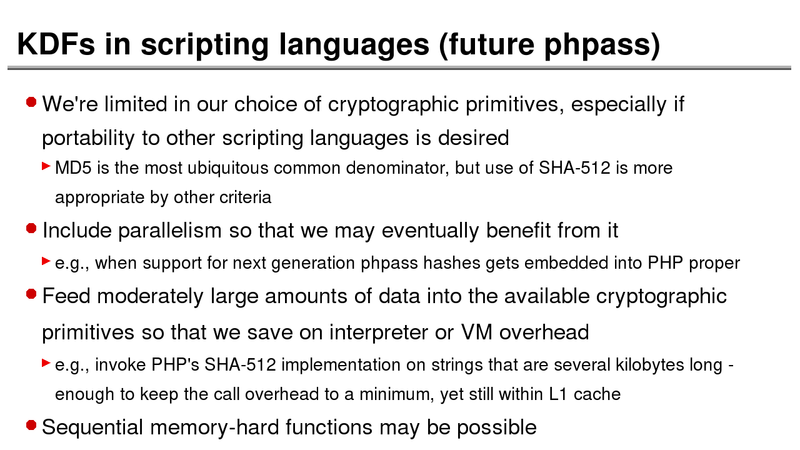 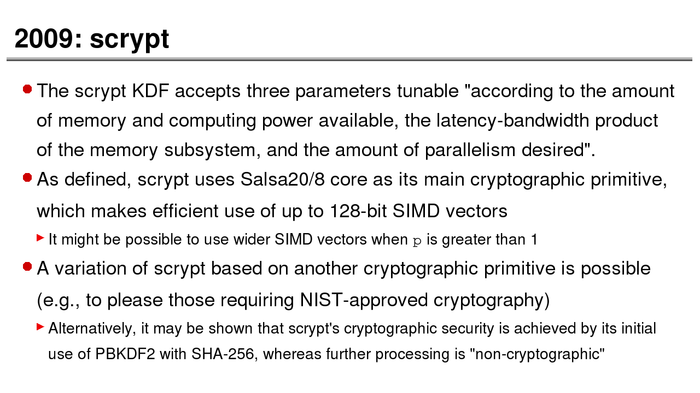 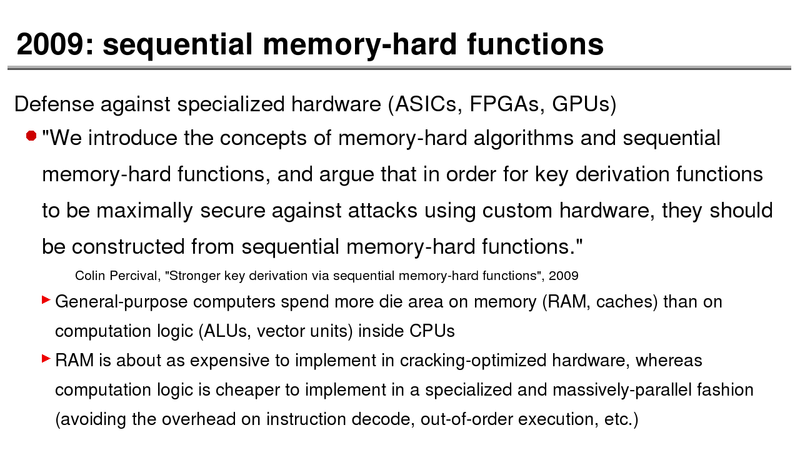 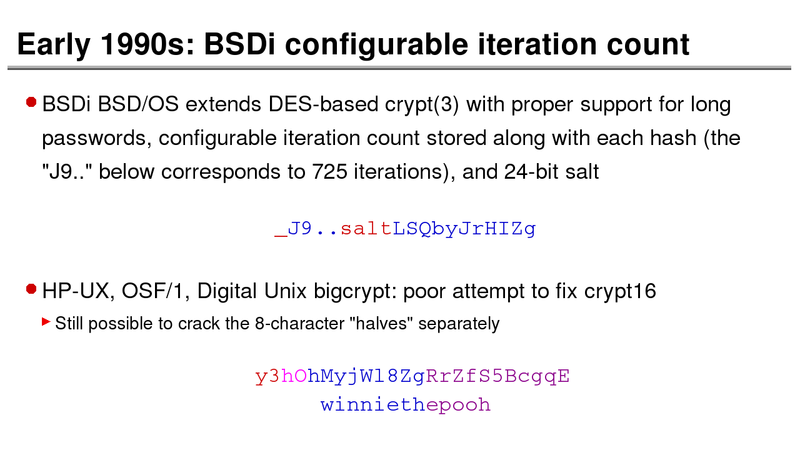 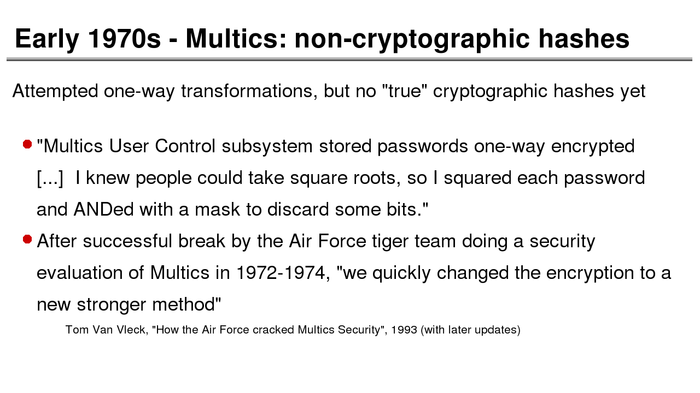 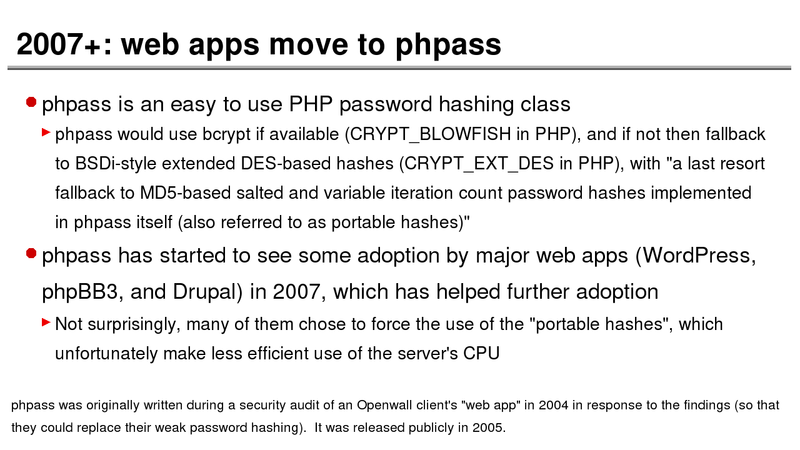 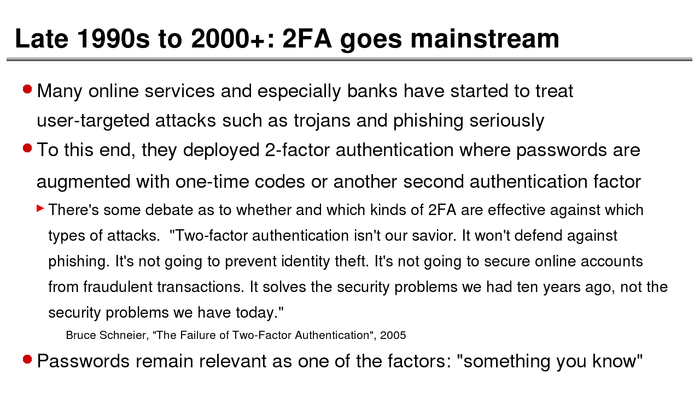 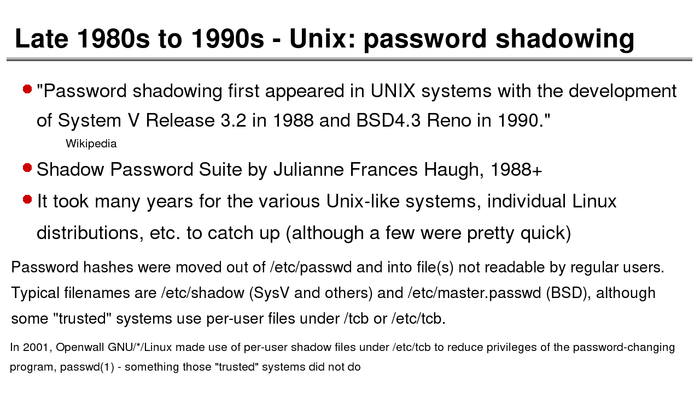 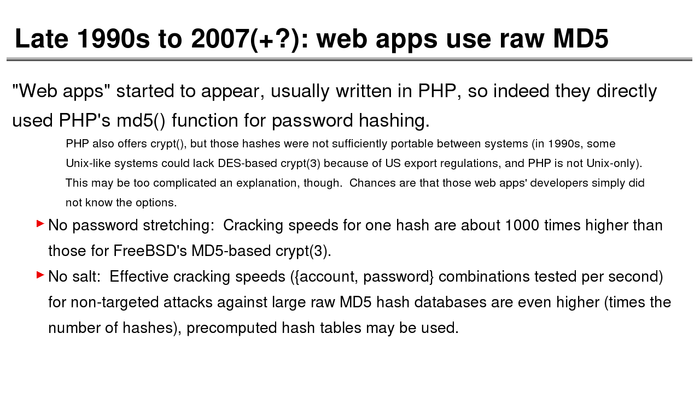 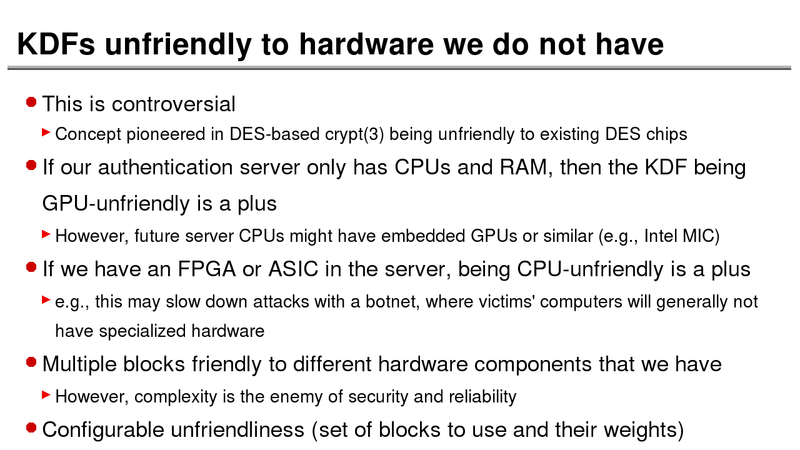 What better way to follow up on my post about storing passwords securely than to take a look at how password hashing has evolved over the years? 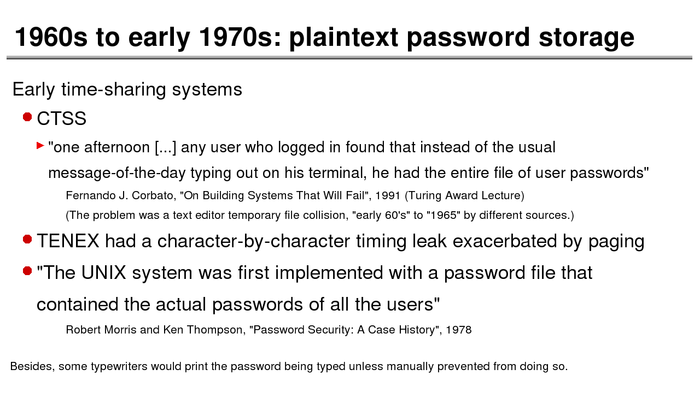 I think you’re likely to be surprised by what “new” things were being done all the way back in the 70s! 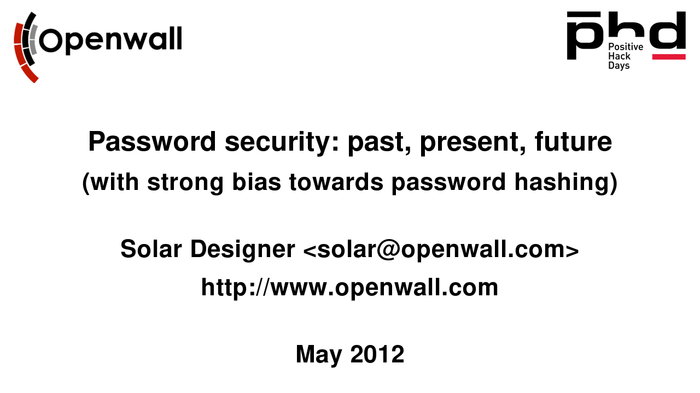 These slides are courtesy of Openwall’s Alexander Peslyak, perhaps better known as Solar Designer. 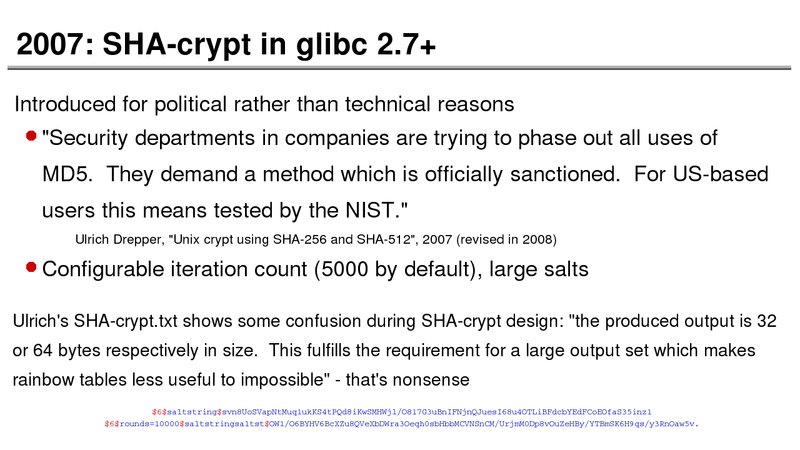 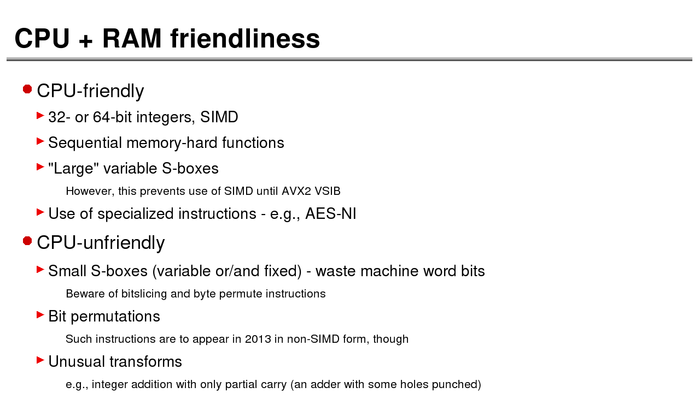 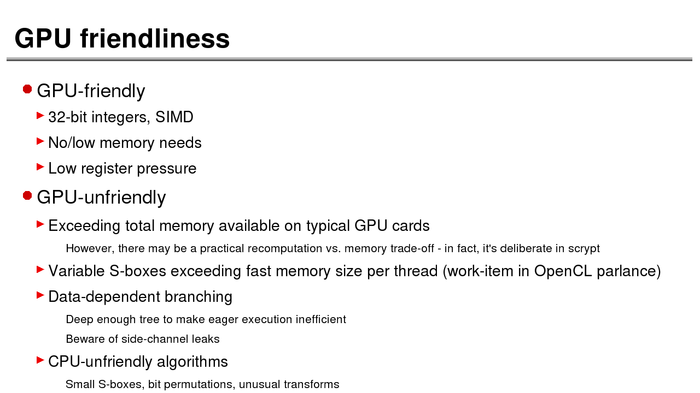 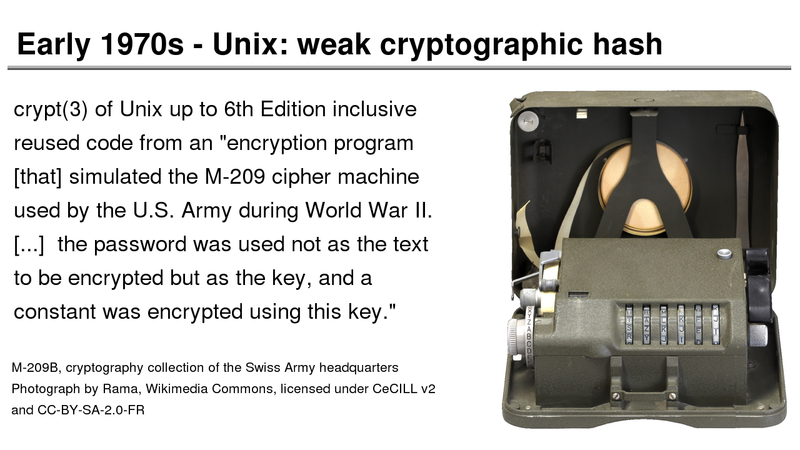 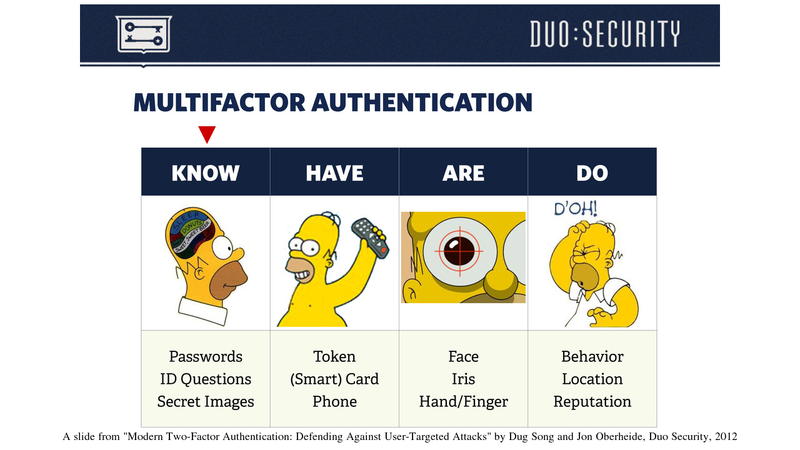 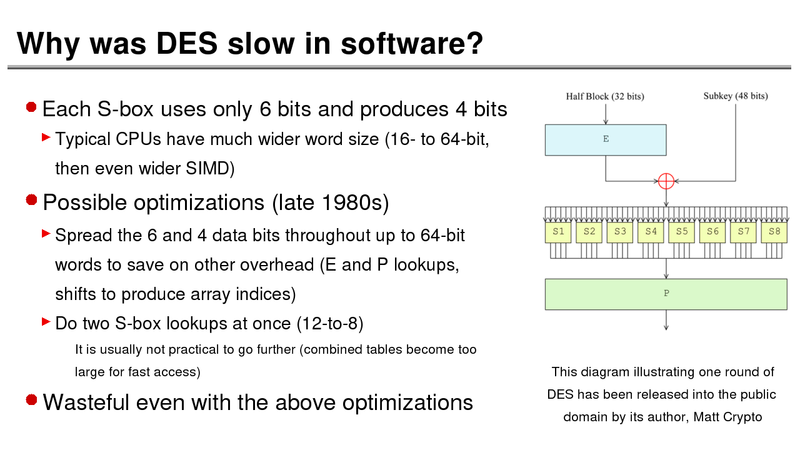 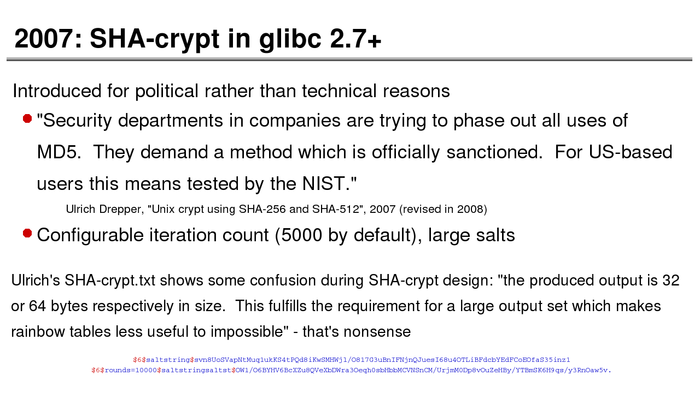 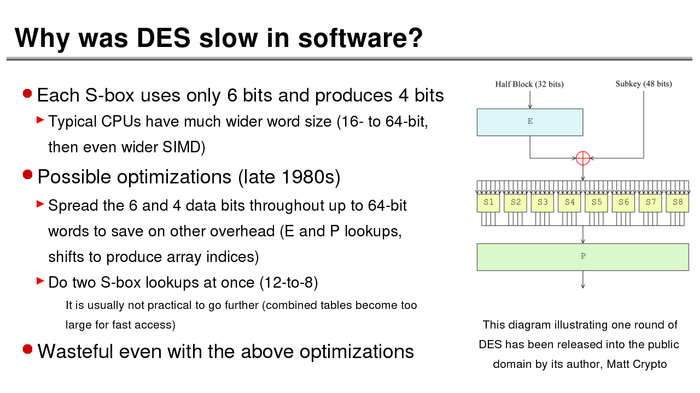 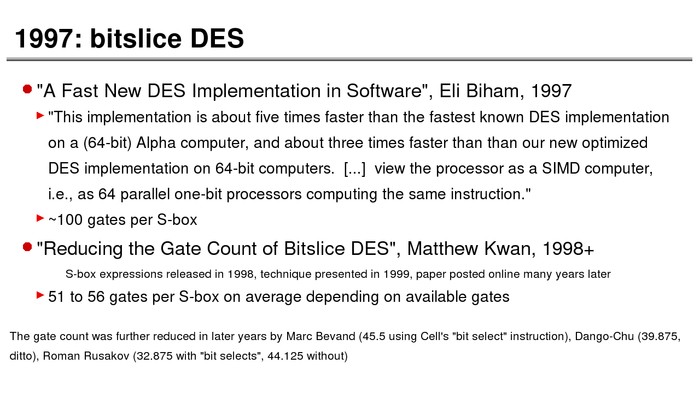 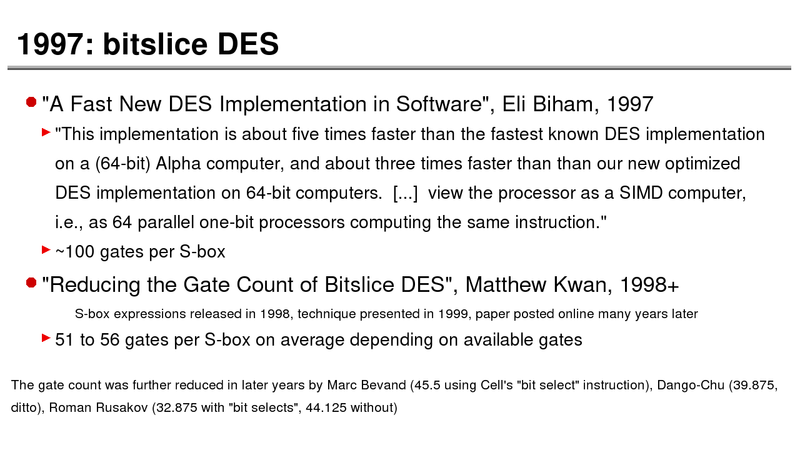 The original high-resolution versions, and a PDF with all the slides, can be found here.